Finally feels like Summer is ending here in DC. 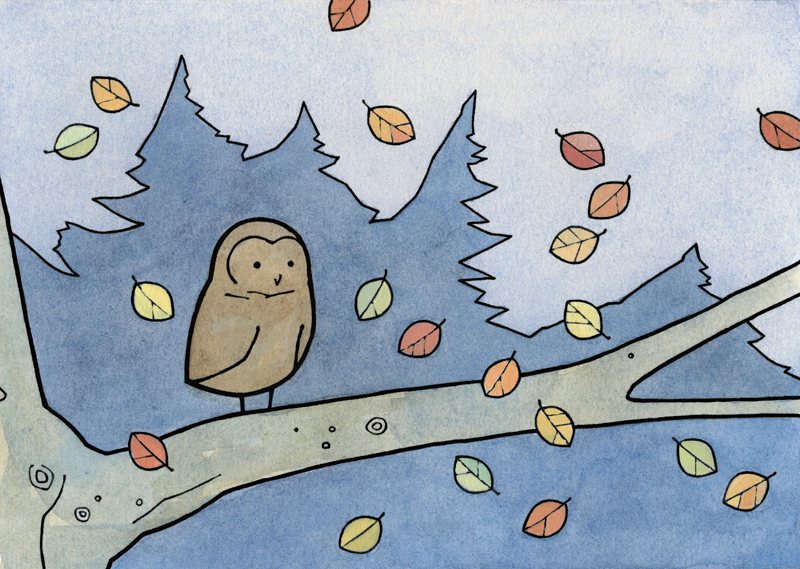 An Owl and colorful Autumn leaves for the first owl of September. I love your owl paintings. I am wondering if it is okay if I get my little grade 2’s to try to copy them. I try to teach my art students about not copying without permission (copyright laws). They love it when I tell them I wrote the artist to ask first before we proceed. Love the artwork! It helps my students have great composition while adopting a style they may be able to copy if they pay attention to the detail. Cool! Sure, go for it. Hope they have fun and thanks for asking!